Batman #36 marks part two of a new story. After Death of the Family, Endgame stars the Joker in his second story since DC’s New 52 began. Bright colours and detailed artwork with forced perspective. Artwork for the comic uses bright colour, darkness, and forced perspective effectively. Superman and Batman are brought into each others contrasting worlds. Dualities appear in the artwork – things that are opposite and contrast are brought together. Opening pages of the comic are surprisingly bright and colourful despite the dark storytelling. Themes of dualities run through the comicbook. Things that contrast are brought together. Superman and Batman, Joker and Batman, light and Dark, day and night. Superman flies down into Batman’s dark world – a detailed, dark theatre, and then an underground tunnel. Superman than drags Batman into his world – a bright, clear, blue sky. Artwork for the Joker’s return has excellent forced perspective, showing small details close to the front of the panel. In this case, flies caught in webs. Later, the links of a chain are shown in similar forced perspective. Webs and chains foreshadow that The Batman has entered a trap. The Joker has indeed set a paralysis trap for Batman. Artwork for these scenes are atmospheric. Conflict between Superman and Batman results in a showdown between Superman’s abilities versus Batman’s intellect and fortune. The winner is neither of them. The Joker’s re-appearance shows off several hidden meanings: His name, and his choice of clothing specifically. This opening battle between Superman and Batman showcases Superman’s boundless abilities, and The Batman’s intellect and fortune. The winner, Batman comments, is neither of them. In order for Superman to win, he must become an unstoppable force, ejecting the moral core that makes up his character. Superman can tear down all of Batman’s defences, with significant collateral damage and no mercy for bystanders. For Batman, winning would mean depletion of his armory, weapons, and finances, and further forcing himself into isolation – having to live with killing Superman, who is traditionally a good friend. Joker’s new approach to Batman mirrors his behaviour in the last Joker story. Last time, he describes his actions as a comedy. This time, a tragedy. This is a new step for the character. His clothing choices and his disguises all show off double meanings. He choses to hide in plain sight as a character called “Eric Border”. Impersonating an Arkham doctor is made simple with the Joker’s new face, surgically attached at some point between stories. There’s an explanation of the hidden meanings behind the name. Eric means “eternal ruler”, and Border is a homphone of “Bourder”, which is an archaic word for “Jester”. Joker’s black clothes are suitable for a funeral. This is a marked difference from Death of the Family where he wore a mechanics overalls. The clothing choice matches his goals: first trying to “repair” Batman’s life by removing the Bat Family, and now funeral clothes for killing Gotham and the Batman. Friends are turned into enemies, expanding on a duality theme. The Joker sees himself as a friend to the the Batman, and now, changes himself into an enemy. Scientific information also appears. Duality themes run through the comic. Contrasting pairs of characters are brought together. Bright colours contrast with Shadows. Superman shifts from a friend into a terrible foe. He becomes both friend and enemy. a friend disguised as a villain, two people at once. Again, friend turned enemy. Batman #36 is published by DC Comics ($3.99 USD). Scott Snyder (W.) Greg Capullo (P.) Danny Miki (I.) FCO Plascencia (C.) Steve Wands (L.) Cover Artwork by Capullo, Miki, and Plascencia. The conclusion to DC comics event, Forever Evil, finally arrives, and delivers a story about power, family, humans, and monsters. The story of villain changing through his experiences: valuing families, and seeing himself clearly. Comic book artwork that shows lightning strikes, and shadows. Mature themes and violence mean this comic suits older readers: high school students and college students can look at this comic for comments about power, monsters, and character development. Light plays across the panels: towards the end of the story, more light from the sun arrives. Massive Lightning bolts strike, and Cyborg strides into the watchtower, carrying the recently deceased Grid. Massive lightning bolts casts both deep shadow, and bright lights across panel. In most panels, one point of light fills the empty rooms. This source casts long shadows. One point in the art could have received more attention. Cyborg makes a dramatic entrance. He drops the lifeless shell of The Grid onto the floor. It’s difficult to image Cyborg would carry the Grid’s broken frame all the way back into the watchtower after their battle. It serves for a dramatic entrance. It’s not completely plausible, however. Since this story began, Lex Luthor has told narrated events as the viewpoint character. Later, a large threat emmerges. How the real enemy behind the Crime Syndicate operates is fascinating. For readers wondering what would happen if super powers and abilities were mixed and gathered together by one individual, the character of Alexander Luthor – a true criminal from Earth 3 – has a lot to offer. He has the ability to absorb and retain the abilities of his super powered victims. When Lex Luthor meets this twisted copy of himself from another universe, real character development starts to happen. In this true villain – uncompromising and dark – Lex Luthor sees all his negative traits magnified; he sees his greed; he sees his power-hungry nature; he sees his cruelty, unchecked. This is one of several character development moments for Lex Luthor. The flat, bald villain known for his relentless and failure-ridden attacks on Superman changes. He is human. Not a punching bag. He can be called human because characters in comics and stories who live through an experience – an arc – and are changed by it are no longer two dimensional. They progress, and show they audience what the have learned. The type of change Luthor shows in Forever Evil #7 is satisfying for readers looking for interesting stories in comic books. A human vs monster theme appears in the comic, in addition to a themes of power. Through Luthor’s story arc, value is placed on family connections. Alexander Luthor asks Captain Cold and Black Manta if they are human or not. Later, Lex Luthor says that Bizarro is his monster. There is an clash between humans and monsters here. Sinestro is not human, but behaves like one – calling Black Adam his friend. Bizarro is not human either. Yet he tries imitate what he sees. In a scene where he witnesses Batman and Nightwing hug, he tries to hug Lex Luthor. He understands emotion. Luthor notices their embrace. He reflects on his relationship with his sister. Clearly, the importance of family stands out to him. Meeting Bizarro, meeting The Batman, and meeting himself has brought about this value recognition. There is also a great, short, comment about the necessity of failure. Luthor attempts to pull some of the stigma away from mistakes. Making mistakes on the path to a goal is necessary. That’s the place that Luthor has arrived at. The questions remain: what is his goal? and is his redemption authentic? Lights in major cities turn black, and the Earth’s moon orbits faster, blocking out the sun. Darkness spreads, and DC comic’s villains rise under the command of the Crime Syndicate in the wake of the heroe’s disappearance. Readers might be reminded of Marvel comic’s Dark Reign story arc, where super villains from all the corners of Marvel comic’s universe seized control of S.H.E.I.L.D, including the peace keeping organisation’s documents and files. The Crime Syndicate has access to all the information of the Justice League thanks to a polite artificial intelligence calling itself “The Grid”. Now, they want an army. After that, control of the Earth’s wealth. True Horror is disturbing and unmistakably dreadful. Reading Batman #17 – the “punchline” – of Scott Snyder, Greg Capullo, and Jonathan Glapion’s Death of the Family, I felt the weight of a strong dread build up inside me. This is true horror, and a comic worth tracking down and reading – not just for horror fanatics, but any reader who want’s to investigate the dark psychology of The Batman. Batman fights against his restraints as Joker switches on the lights: he is trapped in a cave, his family similarly restrained and seated around a large table. Covered, silver platters sit in front of them. A puppet of a bat skeleton makes mild clicking sound as the Joker waves it around the room. A fly buzzes past – attracted by the Joker’s nightmarish, decayed face. The story lurches toward it’s finale. The big question about Death of the Family was would Batman family of costumed heroes live? The question is answered, slowly, with suspense maintained throughout the final issue of the plot. It’s this suspense that builds up the feelings of dread mentioned above. Characters move in and out of danger like a deadly pendulum. The art conveys and builds up the mood, tension, and suspense. Desperation and fear, in addition to relief and resignation are all clearly communicated through the pencil work on the characters facial expressions. Panel arrangements are effective. The viewer is placed close to the horror -particularly on the final, closing panels as one last joke plays out. A deep crevasse in the earth is drawn to look as vertical as possible. The angle of the panel captures the height of the drop, inducing a slight sense of vertigo on top of the other emotions the comic elicits. Despite the heavy violence at the beginning of the Death of the Family, the real power of the Joker’s ploy is the psychological scarring he has attempted, and most likely succeeded, in leaving behind. It’s not stated exactly what the Joker told Robin, Red Robin, Red Hood, Batgirl, and Nightwing as he held them captive in the dark (while Batman was unconscious after the events of Batman #16).It’s clear, however, that some connection between the characters was lost at that point. Possibly, the younger characters have decided that Batman’s constant battles with the Joker are too dangerous – they have started making excuses not to join him at Wayne Manor. Scott Snyder will no doubt explore and expand on this now estranged family. Batman #17 is published by DC Entertainment. Snyder, Capullo, and Glapion Bring the Batman Story arc Death of the Family to its second last issue with Batman#16, a story about an King returning to his castle, and greeting his court jester – The Joker. Themes of Royalty, Kings, and Kingdoms that Snyder stated would be the Joker’s plan of attack against Batman come to fruition. A wide variety of lettering and colouring choices build suspense, elicit actions, and command dread – shadows and darkness are absolutely black, and the lettering captures the sounds of the beleaguered asylum. 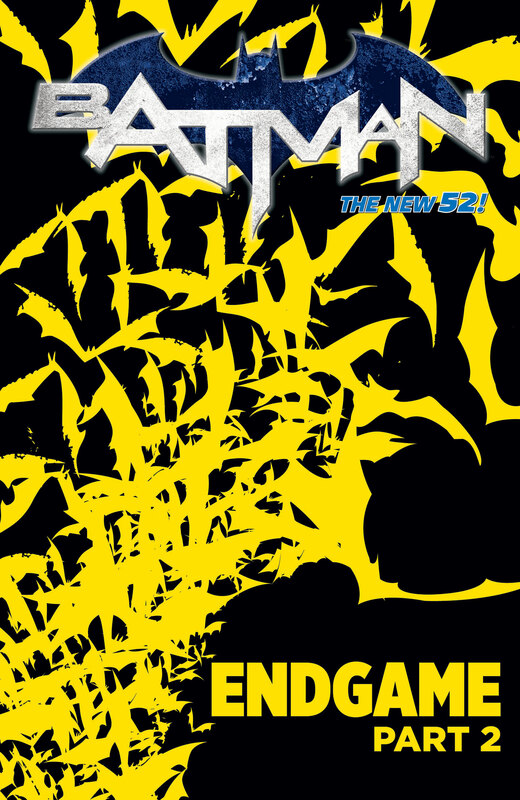 the issue takes the reader on Batman’s journey through a transformed Arkham Asylum, and the sense of his fear is palpable. Batman, however, thrives on fear. Asylum Guards and Staff are Servants and Peasants. Inmates of the Asylum are Knights. Clayface is the royal player. Scarecrow is the royal physician. Penguin is the king’s Bishop. The Riddler is the Royal Strategist. Two-face is the king’s Judge. I’m not sure if Poison Ivy should appear there, or if there is a queen. Regardless, the art used to depict how the characters take on their roles conveys depth in the story. The guards and staff are dressed in Batman and Joker costumes, and forced to dance for days. The Joker’s relies on symbolic torture to make his statements. Their endless dancing is a parody of the endless conflict between the Joker and the Dark Knight. Batman literally becomes a dark knight after the battle with the inmates – Joker’s knights. The battle takes place with a fuzzy filter over the panels after Batman drops an explosive smoke bomb. The art jumps from point to point in the melee, and the filter effectively conveys the confusion and chaos, giving a sense of Tinnitus. There is no lettering to punctuate the scene, and it enhances the ringing chaos. After the battle, Batman mounts a black horse, and rides it up to the next level. Of course, the Joker’s attempt at symbols falls apart and decays – How can Mr.Freeze be considered a groundsman when Poison Ivy is associated with plants? Since this is something the Joker has created, it’s really an ironic joke, and an excuse to have Batman seated on his “throne”, which is an antique electric chair. There is also a backup story where the Joker puts an arrogant Two Face in his place. Scott Snyder continues his writing for DC comics with Batman: Death of the Family, a story featuring an unhinged and brutal version of the Joker. In the previous issue, Joker trapped Batman in a steel vat, and started pumping glowing green chemicals into the cylinder. This is the same event that originally created the Joker. The worst part was Harley Quinn, streaming mascara running down her face, whispering to the Batman that the only reason she was going along with the Joker’s plan was she hoped the chemicals would turn Batman into a new Joker – and she would then start over as his Harlequin. New identity is theme of the story surfacing in this issue. As an example, the chemicals damage Batman’s costume, and burn the outer fabric from the kevlar, like he is shedding skin, or losing his identity. The Joker has literally shed skin, and what he has done to his face is an example of the dark turn Batman is taking into the Horror genre. Jim Gordon, bleeding from heparin poisoning, and scrabbling to hold onto Batman as he collapses, is a another gory example. There is a showdown between Batman and the Joker, which is a welcome break in the tension established so far. The Joker talks about his plan to rid Batman of his lengthy list of allies. He says that “Bat Family” – Nightwing, Batwing, Batwoman, Catwoman, Batgirl, Robin, Red Robin, Red Hood, and Alfred – are “true villains” who have ruined Batman. Scott Snyder has talked about the idea behind the story – that the Batman’s family are weighing him down. The Joker reveals two major points in his plan here. He knows a secret Batman has kept from his friends and he has recorded this information, along with other insights, in a book bound in the skin of a bat. Again, a reference to skin. The art team have captured an itching insanity with top class penciling, inking, and colouring. Shadows are menacing and inescapable, and the only sources of light are not white, but acrid green and burnt orange. The Joker could be a ragged zombie, drawn as something increasingly less human by Capullo. It feels as though there are still more important events and twists in the coming issues to see before the themes of the story become more clear. I am definitely looking forward to where this original Batman story is going. Batman#14 is published by DC Comics.